I know threads like these have been done before but just keen to hear where you guys surfed today ? and what the waves were like, size, conditions etc... and what board did you ride and how was it in those waves ??? Today was the first time I took a board out this year. I have been bodysurfing everyday due to the flat spell. I went out Curly. It was 1.5 feet maybe 2. Weak, gutless trash. ST, your other spot was shite this am, surprising difference to mine :? All these drawings about dinosaurs… Why can’t we have photos? Had head high take-offs this morning which quickly degenerated to about 2 ft after the drop. Side shore wind as usual lately, however its been better for the last month than at any time in the previous five. My usual "Wave Signature" mal. Went the late at the bra. It was a full 2 foot with the occasional 2 1/2 footer and was fairly underwhelming. I rode my standard shortie a 6'2" X 19" X 2 5/16" Bourton Pseudo Fish. To be honest I can't wait until the autumnal weather patterns kick in as I am soooo farking over this abysmal sydney summer of desperation. I hear what you are saying - but the bra is the only eastside beach that has seemed to have a semi rideable wave in these limpid NE windswells lately. reginald wrote: Hang on, now all of a sudden I'm the bad guy. How the try again did that happen? Just down the local bluff. Went for an arvo session on the mal, took out the more quaddy yesterday but was a bit too fat so stuck with the 9'6" today. Was fun, bit choppy but the faces were generally smooth but a little sectiony. Mark saw Kerry out there and a brief chat. Lambert - some nice shots there, was it consistantly that big at the spot in the 2nd photo? Surfed the next well known right point north of you Mark. 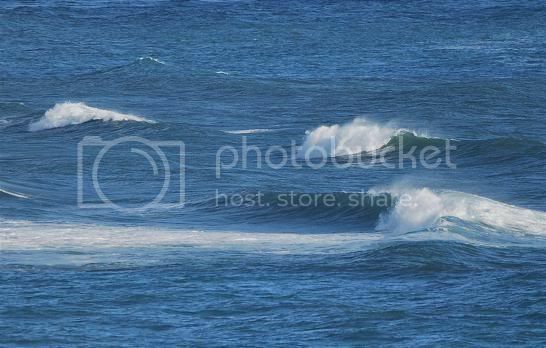 3-4 ft, tropical blue water, light/moderate crowd with a heavy kook/euro backpacker element. Super rippable in that window of butter texture between the morning offshore and a very light ESE seabreeze. Rode a 6'2" Brocky high performance eggy thing. Very curvy outline, tri-plane hull with heaps of squirt, insane paddler and eats up pointbreak sections. A smooth, rail carver that likes to run a turn full length on the rail outline. Nothing epic but super fun. Heard it'd been good down your way. Had the usual mal saturday session at Longy. Sat about 30 metres south of a very large pack of old people on mals with my mate. Got a few surprises but froze my balls off as I sat there in boardies. Agreeing with ST, the water was refreshing. Al this is gold. "She didn't realise I was fairly high and spent much of the evening trying to figure out why a purple and orange cow wanted me to climb a tree." Spoon wrote: Had the usual mal saturday session at Longy. Sat about 30 metres south of a very large pack of old people on mals with my mate. Got a few surprises but froze my balls off as I sat there in boardies. Agreeing with ST, the water was refreshing. Mark - Yeah mark Ive seen Kerry around the traps for a while but only met him officially when I picked up my board from you. steve shearer wrote: Surfed the next well known right point north of you Mark. has Chris got a site where I can view his shapes, cant find anything when I google....keen on seeing his stuff coz really liked some shapes in 'Believe' and that Marcus guy was carcing on an egg, I think it was an eggy shape...?? ?